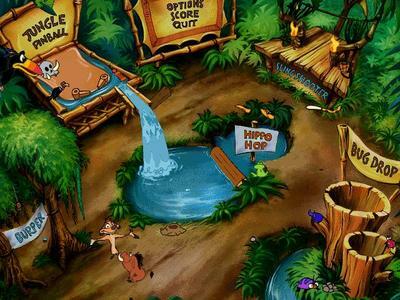 “Timon and Pumbaa's Jungle Games: One of the best games this reviewer has had the joy of playing has just arrived. 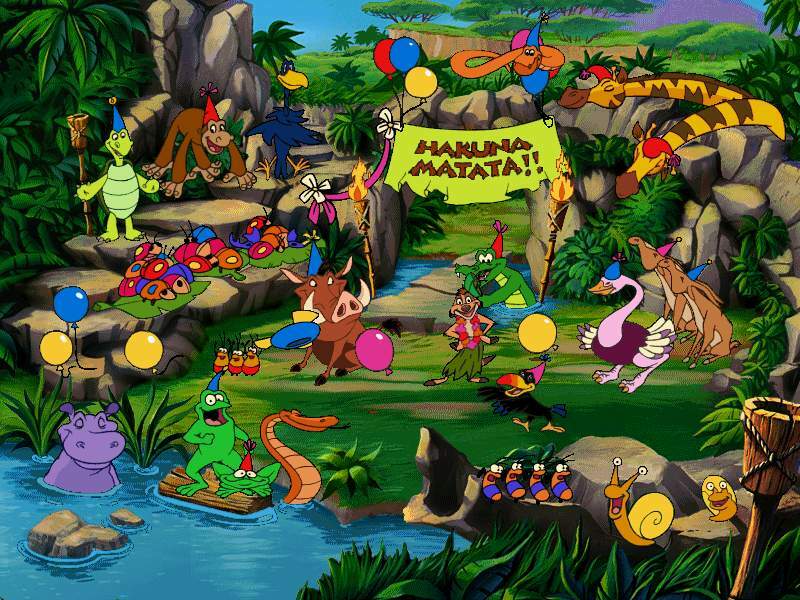 Timon & Pumbaa's Jungle Games is geared toward the younger kids, but has more than enough fun and entertainment for gamers of all ages. When you first begin the game, you're treated to a fantastic introduction starring, of course, Timon and Pumbaa. They take the player to their Jungle Arcade where there are 5 games available for play. Most of the games are familiar adaptations of older arcade hits. With fancy graphics and humor only Disney could think of, each game is a joy to play”. 5 Games of speed, skill and indigestion. Games include: Jungle Pinball, Slingshooter, Hippo Hop, Bug Drog, and Burper. Multiple games levels challenge players of all ages, Hundreds of wacky sound effects, Thousands of originalanimation cels, countless extra bonus rounds, Wisecracks andcommentary from the masters of droll and drool themselves, Play alone or with a friend from 10 minutes to 10 hours. Joystick and Mouse compatible. This reviewer used: 90 MHZ Pentium, 8 MB RAM, and Win All.